And, thus begins the thrilling novel ‘Cross Country’ written by James Patterson, I have finished recently. Needless to say, the opening lines represent the basic premise of the novel quite clearly, a murder or rather a series of murders is about to take place, and the target and place is well defined. Very few writers are able to achieve a dramatic setting in their first page and James Patterson is surely one of them. But, I felt that beginning was only a prelude to the tragic drama ridden with gross cruelty and ghastly things about to take place in the coming pages and though, it may seem sinister to say so, I was damn excited to lounge ahead and run through the promised violence. So, as you must have guessed by now, Cross Country is a murder mystery, to be solved by a dedicated Washington DC cop, Alexander Cross, better known as Alex. He is a specialist in solving serial crimes and has recently solved the mystery of his own wife’s murder. He has scarcely overcome his personal grief, when another tragedy strikes him. Apparently, the mother killed mercilessly in the prologue is his ex-girlfriend Ellie Randall (Now Eleanor Cox). As a cop, Alex is anyhow supposed to unravel the brutal murders, but since the case involves him personally, he gets emotional and considers it his duty to ensure justice for the victims. However, the murder of Cox family is not a one-off incident. A few days later, another family is kidnapped from a crowded Masjid lane and slaughtered and dumped in the waste yard. The inhuman killings jolt Alex and he becomes adamant to solve the cases, trying to understand the motives behind such gruesome murders. Is it a Gang War, a handiwork of some ritual fanatic or an unprecedented group psychosis? As Alex grapples with dilemma, CIA also gets involved in an unusual manner. The CIA angle gives an altogether different direction to the case. One clue leads to another and Alex ends up in Africa, while trying to grab the killer, only known as tiger. But, is Tiger just a mad man or is he only a representative of a wider assault mechanism? As Alex Cross hops from one country to another, crossing continents, jumping islands, surviving fatal attempts on his own person, the mystery only deepens. And, before I could catch my breath, the handiwork of a few hired goons takes a deeper hue and is transformed into a crazy political war, submerged beneath the hard grounds of Africa. To give due credit to James Patterson, he has surely created a well knit web, that moves at a fast pace, engulfing one and all in its spidery mesh. Once begun, I could hardly put down the novel for even a second. I rushed through 397 pages, swallowing the ruthless amputations and brutal killings, desperately trying to solve the mystery. If descriptions of gruesome killing of animals in ‘Life of Pi’ depressed me, ironically the senseless killing of humans in Cross Country raised an insatiable curiosity in me. Though, I did find the novel repulsive at times, particularly when it indulged in gross physical violence, but mostly Patterson’s fast pace ensured that the suspense made me ignore the brutality. And, as I moved from one region to another with Cross, the only question that mattered was who is tiger and will he be nabbed. However, nothing is perfect in this world. Though, the narrative was lucid and suspense well maintained, the climax acted as a slight dampener. The mumbo jumbo of CIA and Africa connection hardly cut ice. And, at times, I felt that Patterson wrote from a detached point of view as far as natives were concerned, all of them were ignorant, misled fellows, who are forced to make peace with evil forces, looked more like caricatures than real people. But, Patterson and his publishers are a smart lot. They overcompensated the lethargic climax by providing some worthy goodies at the end. A well written Epilogue, about an unrelated meeting with Kyle was a nice diversion and so were the question answer session with Cross, imagining him to be a real person, rather than just a character. If Prologue set the tone of the novel, epilogue gave it another flavor, so it is a win-win situation for the readers. And, to add more chutzpah, James Patterson has also given a sneak peek of his next novel ‘I, Alex Cross’ at the end. I think, it is an intelligent sales move to inadvertently pitch your next offering to the potential readers. If Tarquin Hall added Indian spice in his mystery, James Patterson blended African novelty with typical American frankness to create an exciting thriller. 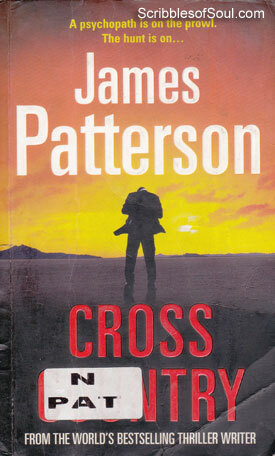 In all, it is a good first read from James Patterson, and I am more than willing to accompany Cross in his thrilling adventures in future as well!